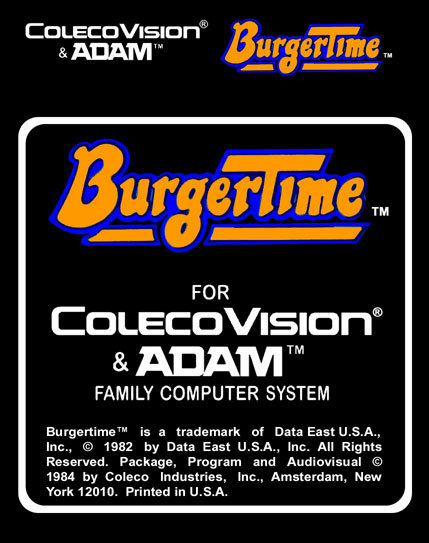 Program and Audio Visual © 1984 Coleco Industries. 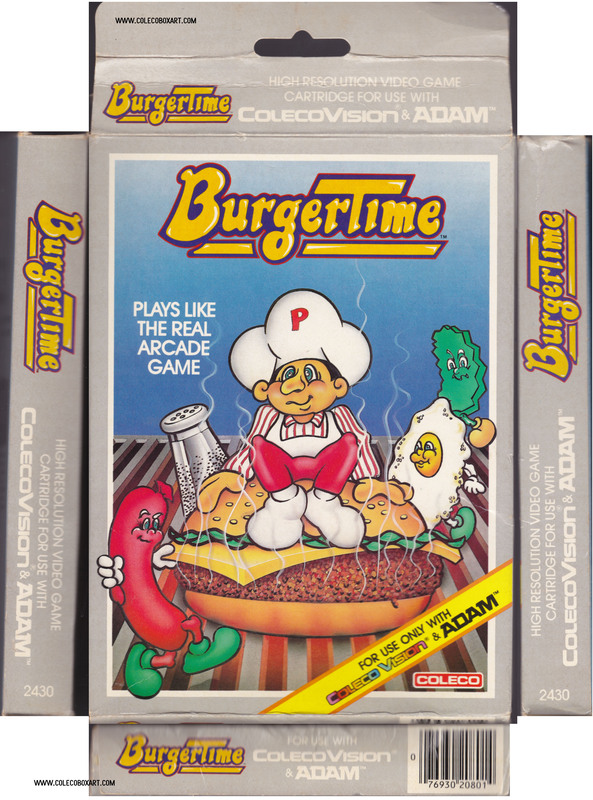 Package © 1984 Coleco Industries, Inc.
Packaged in U.S.A. 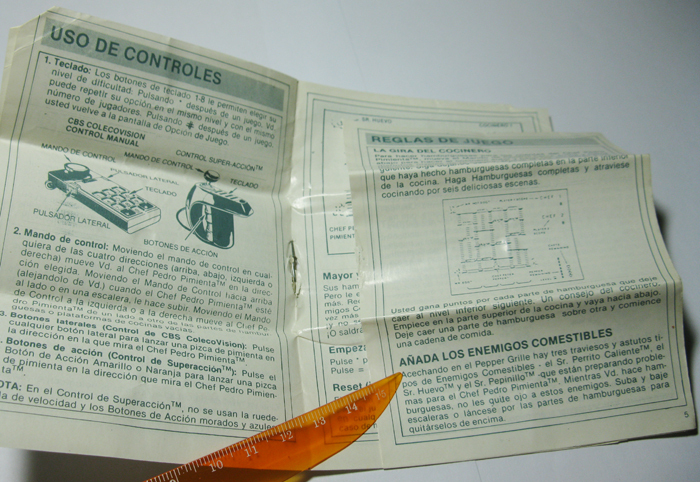 Printed in U.S.A. 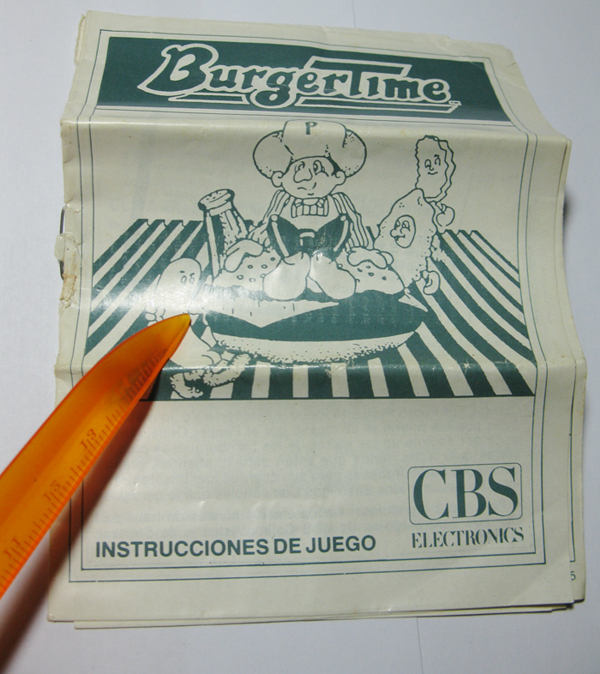 Program & Audiovisual © 1984 Coleco Industries Inc.
Package © 1984 CBS Toys. 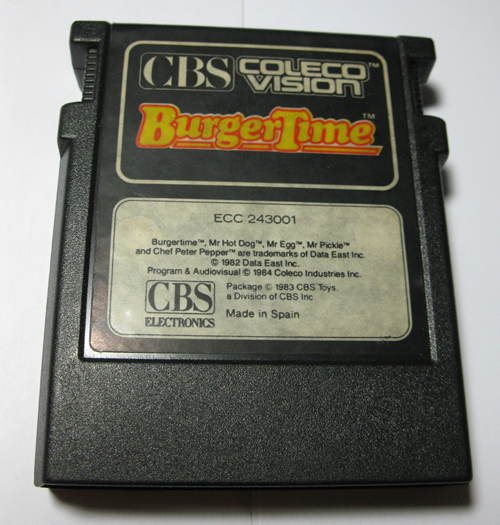 Made in England by CBS Electronics, Woodley, Berks. 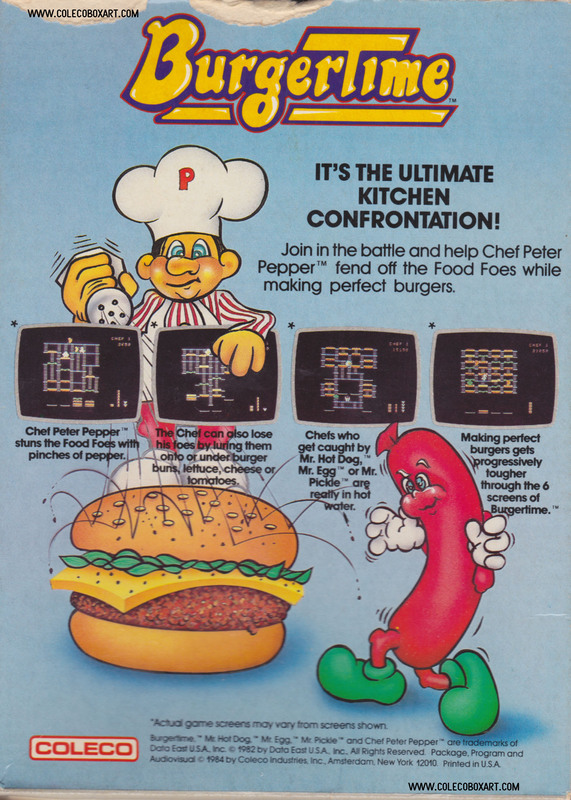 Join in the ultimate food fight as you help Chef Peter Pepper fend off the Food Foes and make perfect burgers. 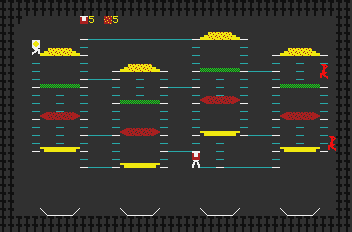 Can you help Chef Peter Pepper make delicious burgers and evade the tricky Food Foes? 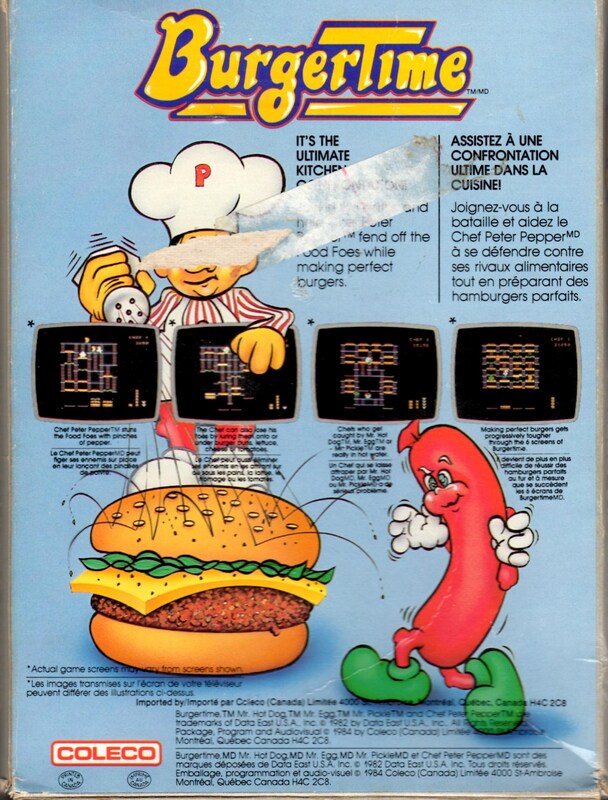 Take one chef. 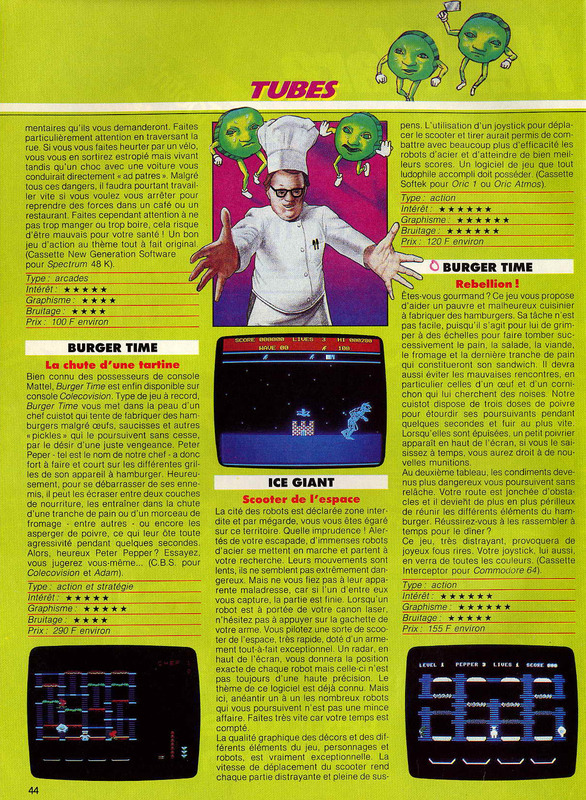 Add three food foes. 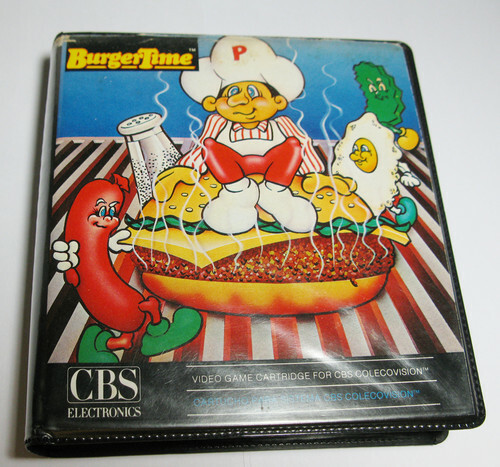 Season with pinches of pepper. 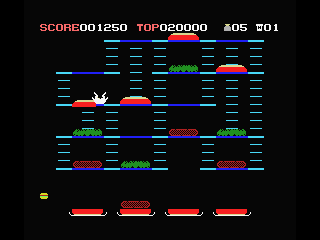 Play at four skill levels on six tempting scenes. 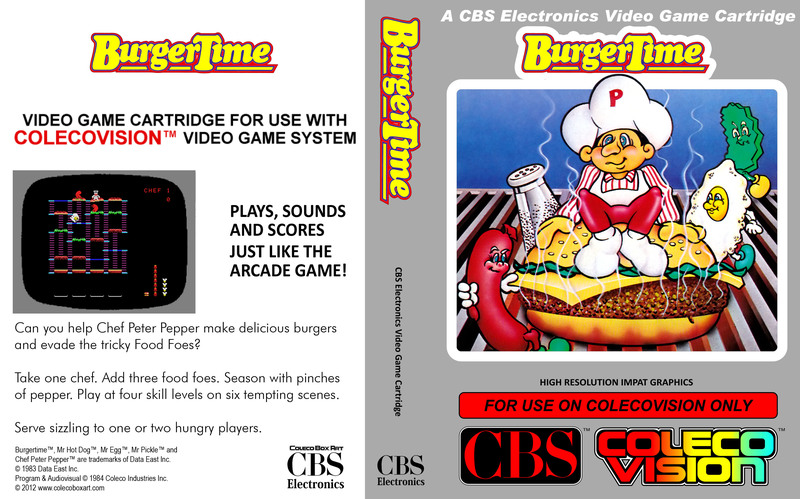 Serve sizzling to one or two hungry players. 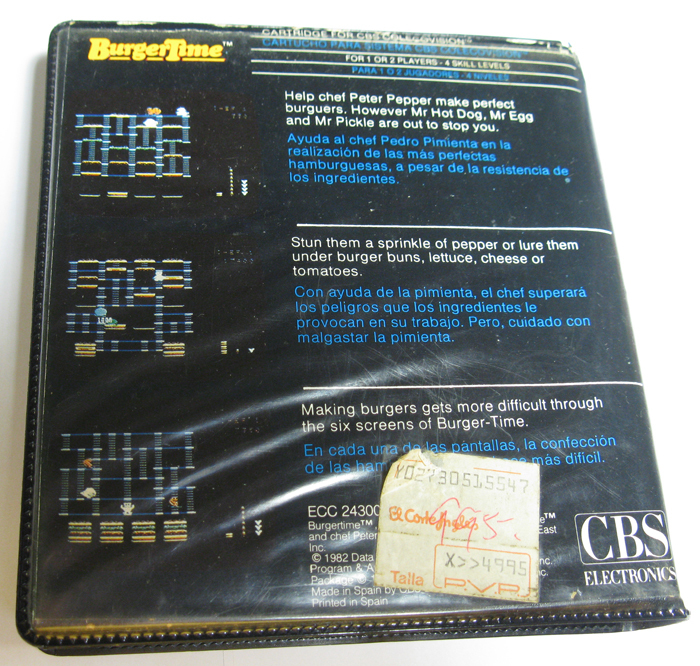 Pepper from making gourmet burgers for hungry customers. 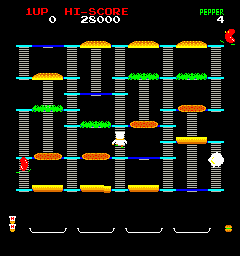 As Chef Peter Pepper you must stay cool as a cucumber while you move around The Pepper Grille, zipping across the tops of burger parts to make them drop intothe plates below. 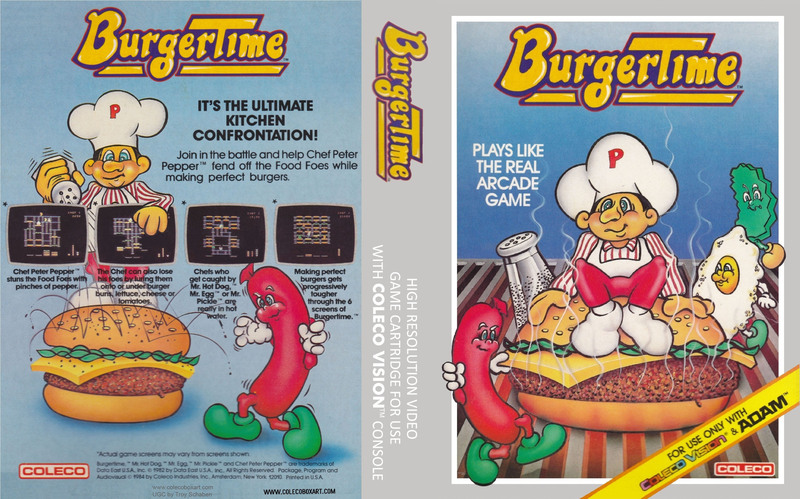 While cooking delicious burgers for your hungry customers, you must try to flatten the pursuing Food Foes. 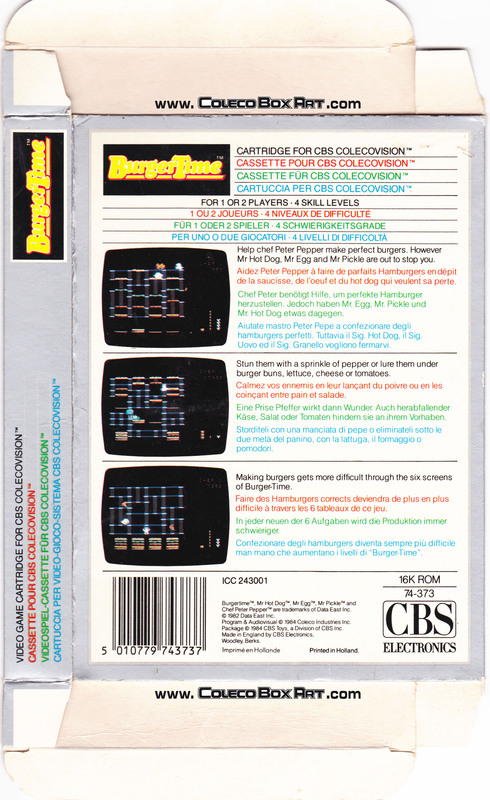 Port of Data East’s arcade game released in November 1982. 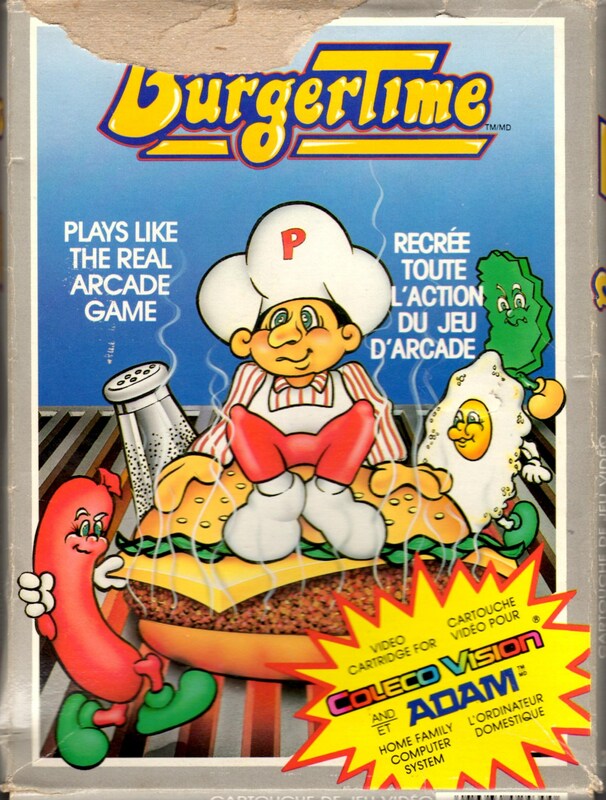 BurgerTime (Bāgātaimu) is a 1982 arcade game created by Data East for its DECO Cassette System. 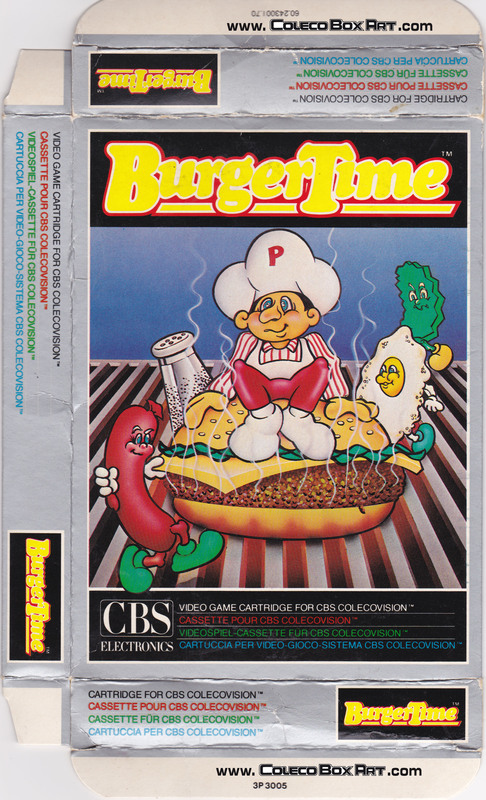 The game's original title, Hamburger, was changed to BurgerTime before its introduction to the US. 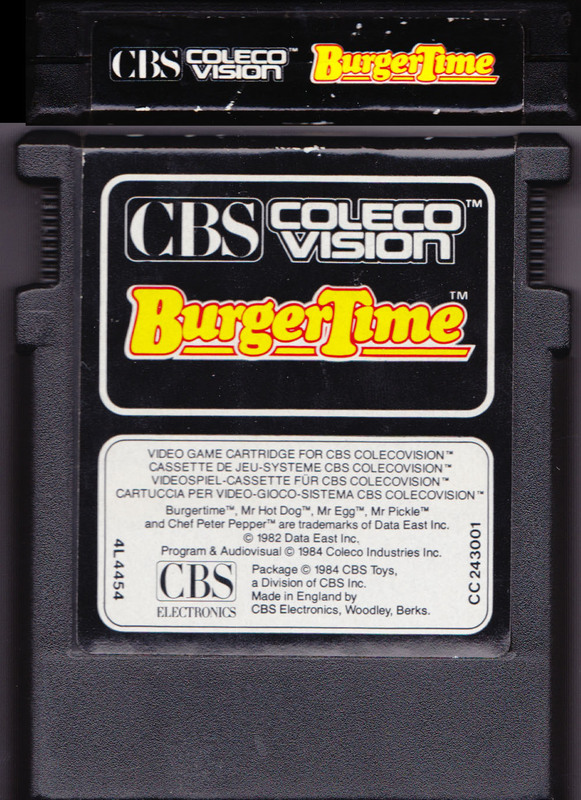 In the US, Data East USA licensed BurgerTime for distribution by Bally Midway. 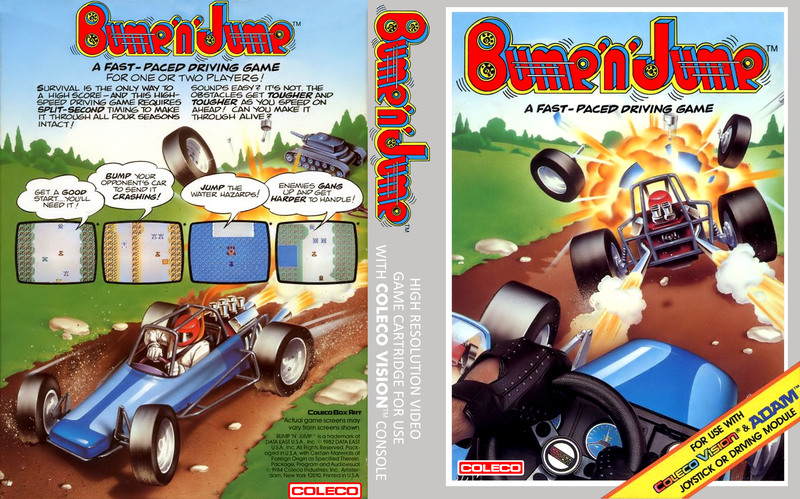 The Data East and Midway versions are distinguished by the manufacturer's name on the title screen and by the marquee and cabinet artworks. 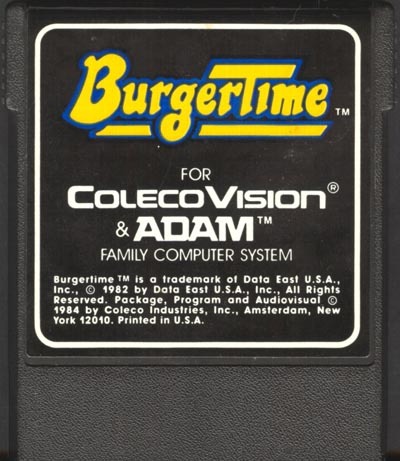 Mattel developped the conversion for Colecovision and then canceled it. 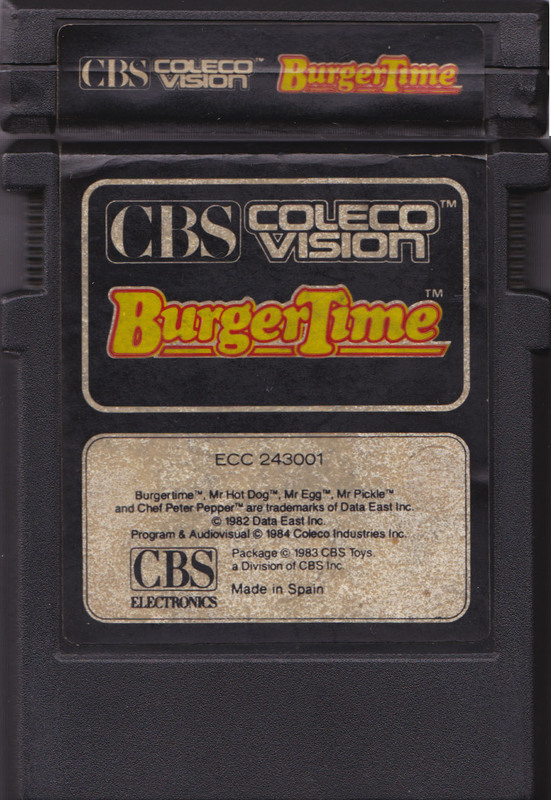 Coleco acquired the game from them and have upgraded the graphics to better reflect the original. 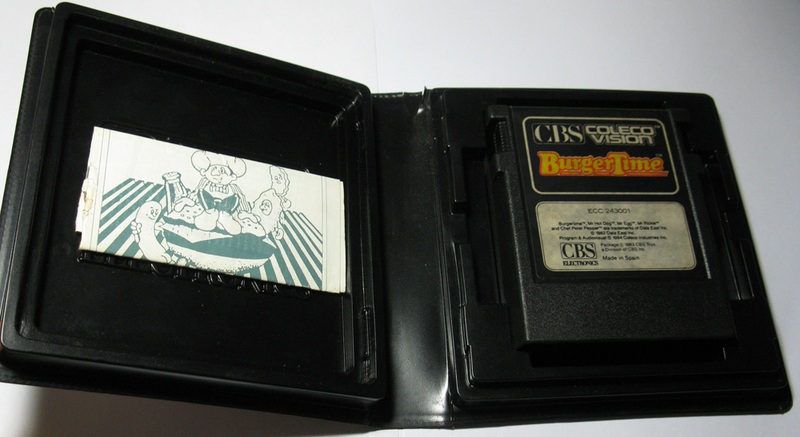 That's the reason why there are two rom versions of the game.